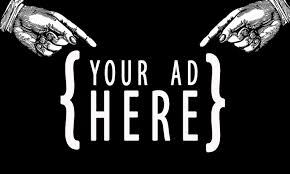 ADVERTISE WITH US!! | ADVERTISE WITH US!! STRAIGHT FROM THE E-BLOCK RADIO HAS GROWN TO OVER 110,000 LISTENERS AND GROWING STRONGER EACH SHOW! NOW YOU CAN TAKE ADVANTAGE OF OUR GROWING AUDIENCE AND BRING ATTENTION AND CUSTOMERS TO YOUR VERY OWN BUSINESS! WE HAVE PLANS FOR EVERY ADVERTISING BUDGET AND EXPOSURE ACROSS INTERNET RADIO, YOUTUBE, INSTAGRAM, TWITTER AND FACEBOOK! PROMOTE YOUR SERVICE, BUSINESS, MUSIC OR WHATEVER YOU WANT! CONTACT US AT EBLOCKRADIO@GMAIL.COM FOR RATES.